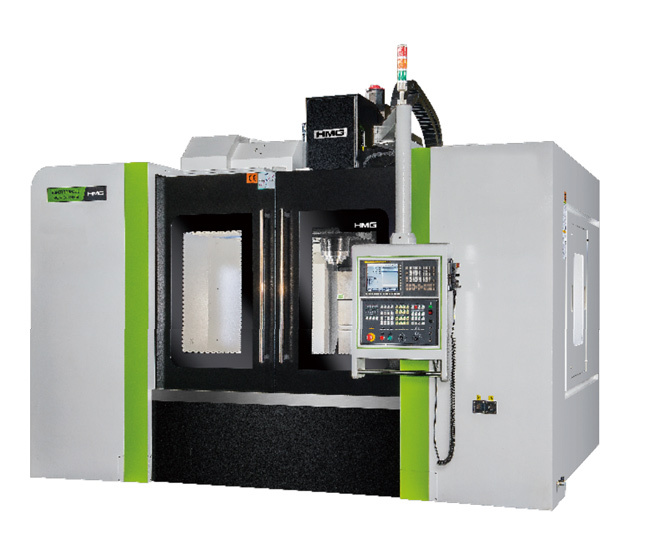 Machining, and 5 Axis | Quality Machinery Systems, Inc. 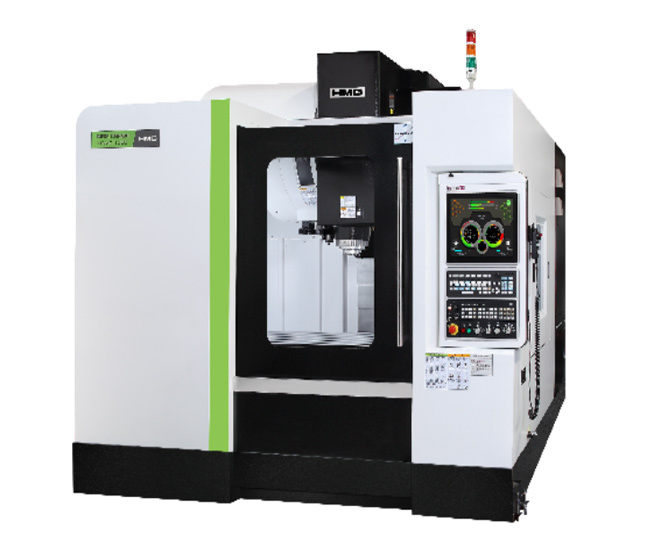 The Spinner-group produces with about 550 employees in three factories more than 1,000 high precision CNC-Lathes, Machining-centers, Toolfrinders and automated machines each year. More than 60% of our production is exported to more than 60 countries on 6 continents. Spindle Run out 5 Micron, 5 year warranty of slideway surfaces, AFC Automatic Feedrate Control, 10 Sets or machining parameter packages, Machine ulilization Management. 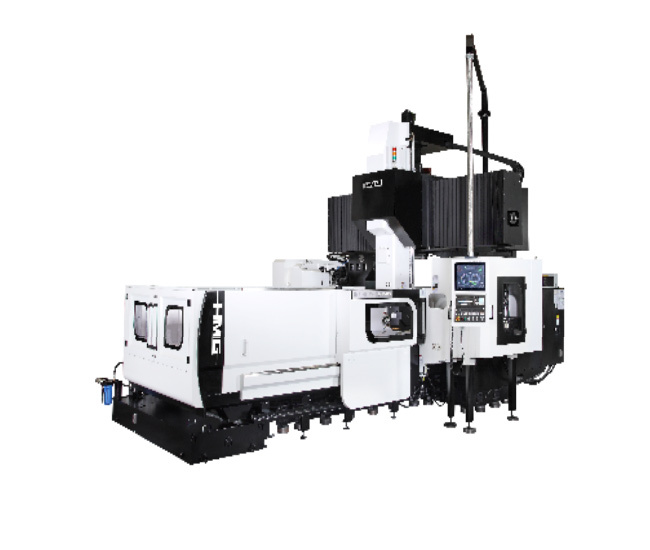 The largest vertical machining center with unmatched value. X axis traveling extended from 1300mm to 2100mm while Y axis traveling from 700mm to 1020mm. The outstanding table load can reach 3000kgs. Highest damping guideway design. 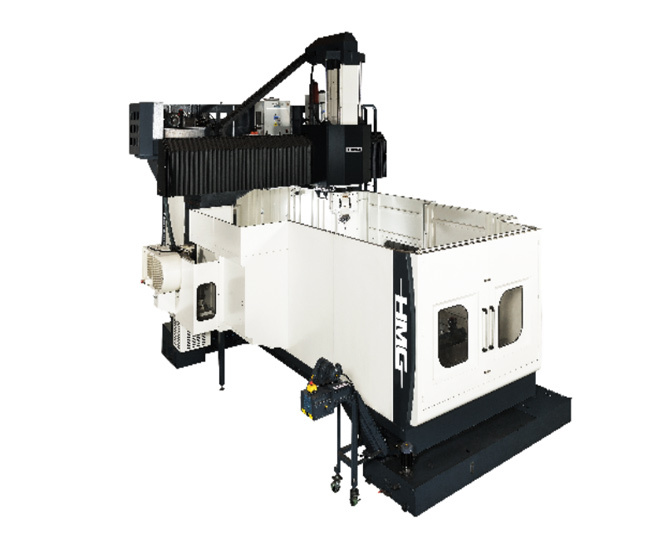 Dual purpose Box guide way machining center. 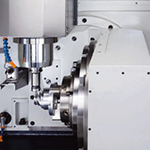 #40 taper spindle, high efficiency in production & mold making. The uniquely designed column features greater sizes in its class thereby providing added rigidity. The column is a versed “Y” shape with extra wide and large structure for superior stability and firmly support for the column. The increased mat surface between spindle head and column achieves perfect structural ratio for outstanding stability. 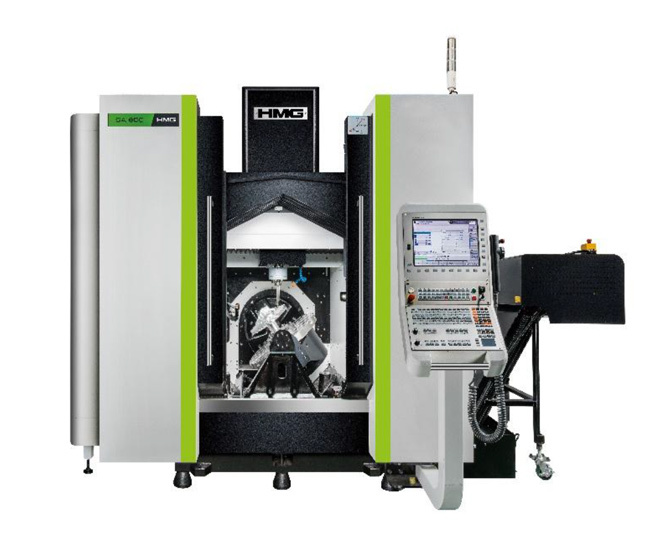 This, combined with a proper counter-balancing design, fully eliminates gravity lowering problems on the spindle head while upgrading machine accuracy and rigidity. 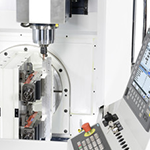 Special package to improve the precision of Z-axis movement in high speed machining. +No more Z-axis timing belt, the servo is connected to the ballscrew. There is no more need to maintain or replace the timing belt. 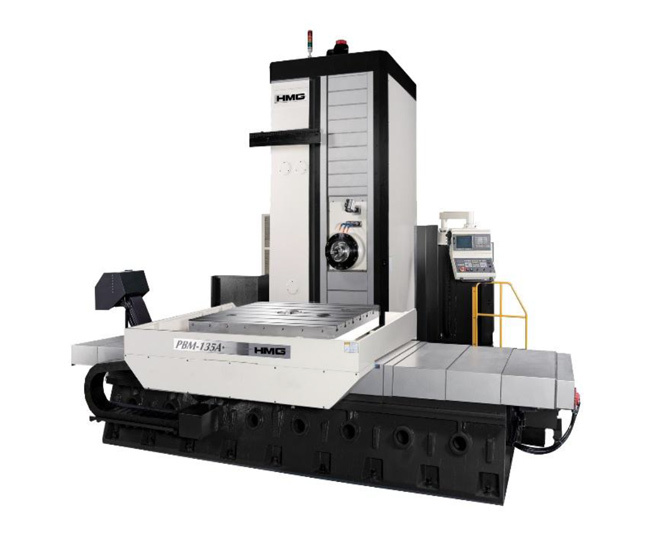 Multi-Face Double Column Machining Center with A/C head for maximum cutting capacity. 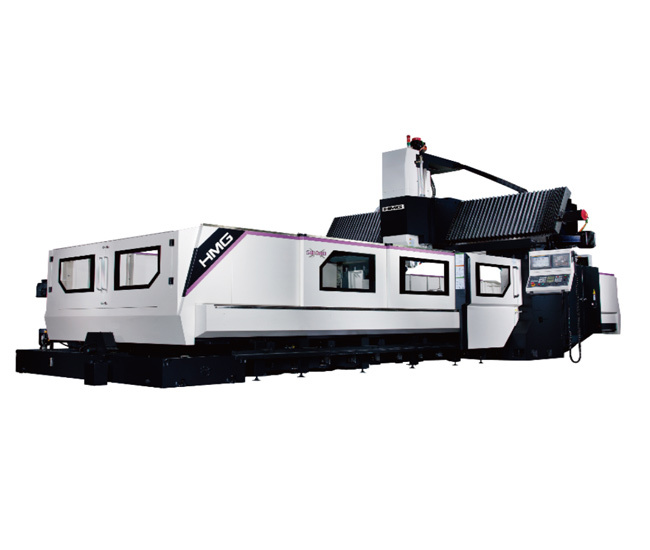 5 face mass production machining center that combines automatic head changer & vertical/horizontal ATC system. 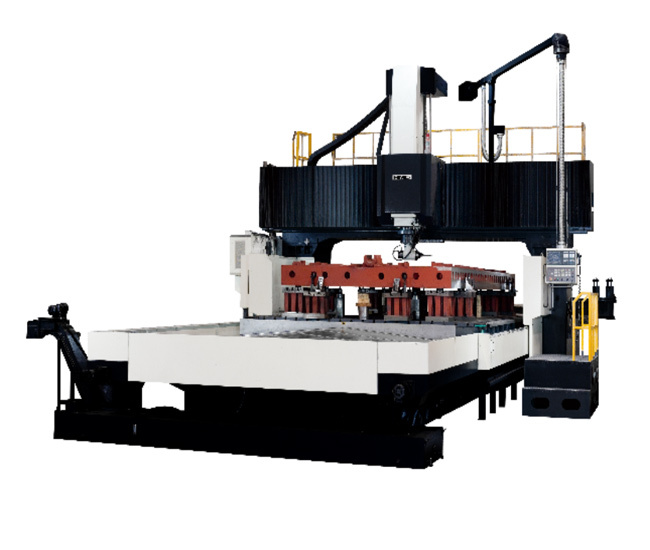 Linear Guide Way Double Column Machining Center with unique crossbeam design providing greater streamline force. HMG has the right for final enclosure design. Please contact a sales person for further information. 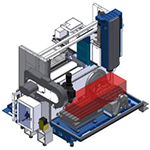 Box Way Double Column Machining Center with a structurally rigid optimal beam design. 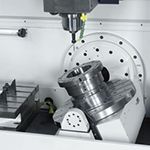 Perfectly suited for heavy precision machining.